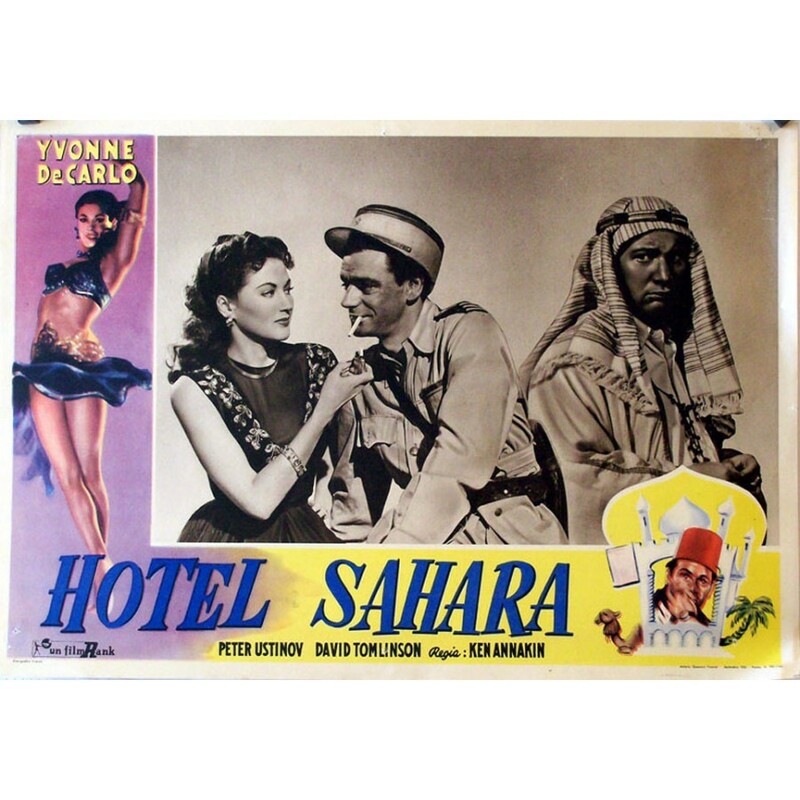 During World War Two, Emad and Yasmin are the proprietors of a desert hotel caught between the various waring sides. The hotel owners realize that the key to their survival is their constantly shifting allegiance to the political regimes of the various belligerent armies that happen to control the area at any given time. As the fortunes of war dictate, the area is successively controlled by the Italians, the Germans, the British, the French. Yasmin, at Emad’s suggestion, even goes the extra mile and charms the Italian, German and British officers, with hilarious consequences.